The relativity of a song is what attracts listeners to take a chance on it and finally own it. How much more if the video explores the very roots of our childhood existence? 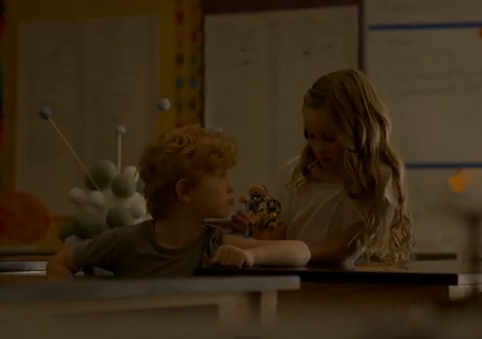 The music video of Everything Has Changed by Taylor Swift featuring Ed Sheeran may have been one of the most play safe, but it is also one of the most touching, truthful and smile-inducing. Taylor and Ed have the shortest screen time -- they act as the parents of the two love-smitten kids as they play around and break school rules -- and that's the very reason why the music video may work well for (1) the fans who liked every Taylor Swift song and (2) those who grow sick of seeing too much of her. Being the fifth single from Red album and being the 14th track for he same, Everything Has Changed music video proves the singer's words that "music videos should revolve around the song rather than the artist." Let's just hope some of the more narcissistic artists out there would adapt to this principle.